Should Your Business be on Houzz? You are here: Home / Social Media / What the Houzz Is Houzz and Why Should My Company Be Using It? 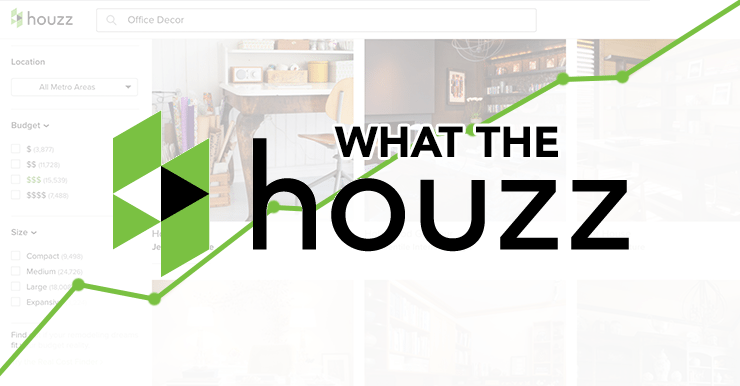 What the Houzz Is Houzz and Why Should My Company Be Using It? Houzz is awesome. Seriously. If you’re in the home improvement industry, but don’t use Houzz yet, it’s time to sign up and create a profile for your business. Houzz has the largest consumer audience out of any website or magazine in the shelter category. With over 30 million unique monthly visitors, Houzz users are constantly logging on to the site (or app) to discover ideas, products, and find the professionals they need for all home related projects. How to Get Started on Houzz? As we said, your projects are the place the show off your best work. For example, one of our clients, Nicolock Paving Stones, shows their Bradstone Madoc Wall used for building a raised garden. When a Houzz user searches the Landscape category, or searches keywords like gardens or raised garden, Nicolock’s picture could show up in the results. Our goal is to make sure this photo is seen by as many users as possible, and added to as many Ideabooks as possible. This image has been added to 46,193 Ideabooks on Houzz and is so popular that it’s now a featured image. You’re adding photos to your projects and Houzz users are adding them to Ideabooks – great – but are you listening to what they’re saying? Everyday you should run a search for your company name, and keywords related to your business, and make sure to jump in relevant discussions and answer any questions Houzz users are asking. Here’s an example of how we’ve done that for Nicolock Paving Stones. Just like any other social network, listening and responding in a timely fashion is critical towards building a relationship and generating leads. We’re really excited to see what updates Houzz adds for advertisers and business owners as the platform continues to evolve. If you need help getting your Houzz profile started, feel free to drop us a line and see how we can help get the ball rolling. Until next time, Houzz on!